Nonlinear Physics of Ecosystems introduces the concepts and tools of pattern formation theory and demonstrates their utility in ecological research using problems from spatial ecology. Written in language understandable to both physicists and ecologists in most parts, the book reveals the mechanisms of pattern formation and pattern dynamics. It also explores the implications of these mechanisms in important ecological problems. 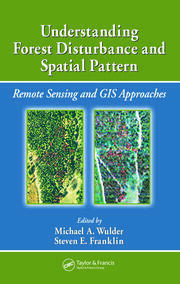 The first part of the book gives an overview of pattern formation and spatial ecology, showing how these disparate research fields are strongly related to one another. The next part presents an advanced account of pattern formation theory. The final part describes applications of pattern formation theory to ecological problems, including self-organized vegetation patchiness, desertification, and biodiversity in changing environments. 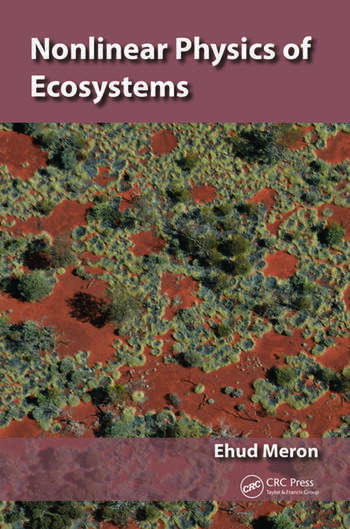 Focusing on the emerging interface between spatial ecology and pattern formation, this book shows how pattern formation methods address a variety of ecological problems using water-limited ecosystems as a case study. 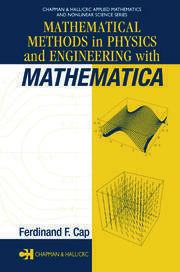 Readers with basic knowledge of linear algebra and ordinary differential equations will develop a general understanding of pattern formation theory while more advanced readers who are familiar with partial differential equations will appreciate the descriptions of analytical tools used to study pattern formation and dynamics. Ehud Meron is a professor of physics in the Blaustein Institutes for Desert Research and the Physics Department at Ben-Gurion University of the Negev. His research interests include nonlinear dynamics and pattern formation theory with applications to fluid dynamics and chemical reactions, modeling complex systems, and spatial ecology with a focus on desertification and biodiversity dynamics. Professor Meron’s recent work has involved collaborating with ecologists in an effort to assimilate the concepts of pattern-formation theory into ecological research. "I was greatly impressed by the variety of topics covered and by the depth in which they are discussed. … The author’s introduction to each topic is clear, and the book’s overall organization makes it easily readable. … I would recommend it to graduate students who want to conduct research in mathematical ecology or physics applied to spatial ecology problems. … I also warmly recommend the book for nonlinear physicists, applied mathematicians, and theoretical ecologists working on cutting-edge environmental interdisciplinary problems." "The approach taken by the author is simultaneously rigorous and relevant. … This book easily reaches the objectives set for it by its author and is thus strongly recommended to its target audience." "a masterful treatment of the topic of vegetation self-organization that is more than simply a synthesis of previous work— it pushes the field ahead…. This book is essential reading for all ecologists, physicists, and mathematicians, both students and practitioners alike, interested in the topic of ecological pattern formation or pattern formation in general." "… a much-needed contemporary perspective … unfolds the origin of coherency of spatial patterning in one of the most significant biological systems the human population depends on—arid and semiarid climates." "The science of pattern formation reaches dazzling new heights as physicist Ehud Meron explains to us the nonlinear spatial dynamics of complex ecological systems. This is the definitive textbook on the subject as written by one of the key pioneers in the field. No other book comes close to showing the power of modern theoretical physics for solving real in-depth problems in ecology. Step by step, carefully formulated model equations are developed for dealing with advanced ecological topics, such as water-limited desert vegetation systems, soil-water diffusion, root-augmentation, plants as ecosystem engineers, reversing desertification, and species coexistence and diversity. … a huge achievement." "An important and timely book that shows the generality and power of the pattern formation paradigm and its wide applicability to diverse natural systems." "An authoritative account of the state of the art in ecological patterning." 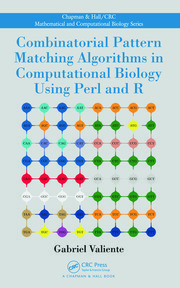 "… a major and unique contribution to the mathematics and physics of ecosystems. … It should become a major reference. I am very pleased to endorse this book." "… an excellent and important read on the rapidly emerging field of integrating pattern formation theory with spatial ecology, with real-world applications and implications." "… addresses a critical need and should quickly become a favorite of both beginning students and senior practitioners … ."